Designed to give you a fun and easy start into the seven major social dances. You will be introduced to the basic step of the waltz, foxtrot, tango, rumba, swing/shag, cha cha, and salsa! This special offer is for NEW students only. Private Lessons can be scheduled Mon-Fri between 2 and 8:45pm. Group classes are a great way to improve your ability as an independent dancer! Come to class to learn how to dance the patterns on your own, and get more out of your private lessons! Class schedule changes monthly, so please visit our Calendar pages to find out what classes are available this month. Practice sessions are a great practical application of what you are learning in your program because they complete the lesson information taught in our private and group lessons. Learning is one thing, but making the material work in a live setting while dancing with different people is quite another. The practice session will put everything together as well as aid in music identification and help you to learn not to run into other people on the dance floor. You can meet other students and practice your leading and following skills in a fun, relaxed environment! Teachers can tailor their private sessions based on how they see their students progressing. 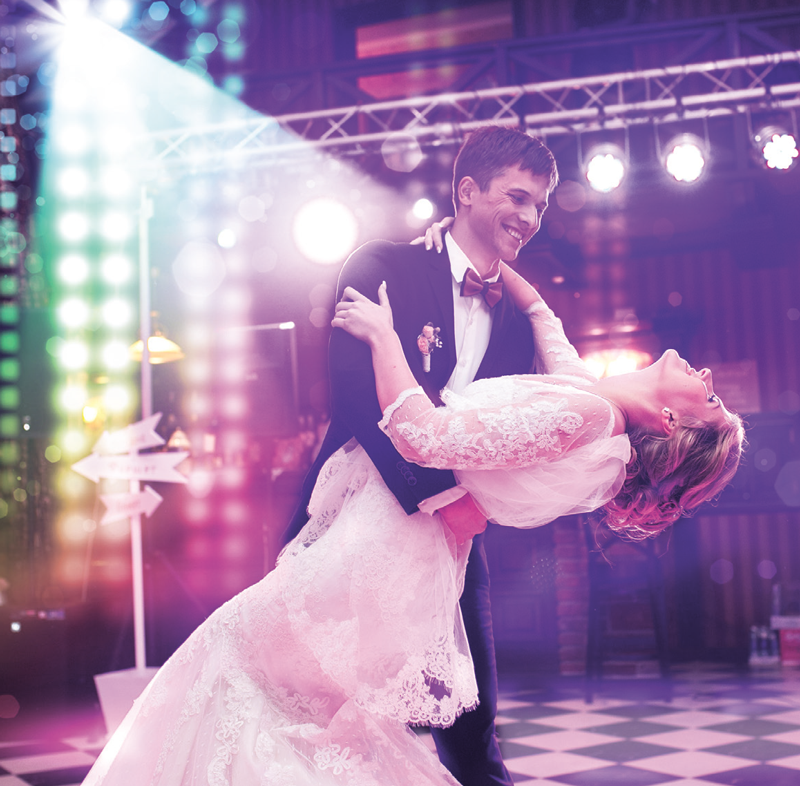 Enjoy each moment as you dance together for the first time as husband & wife! We look forward to welcoming you into our dancing family!